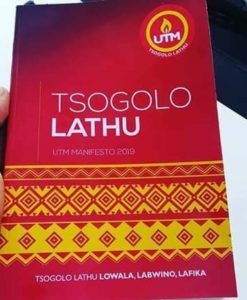 LILONGWE-(MaraviPost)-Malawi Government on Monday warned UTM Party presidential candidate Saulos Chilima to stop the habit of telling lies with the aim of gathering voters otherwise they will be forced to get into his cupboard and flash his skeletons out. The call comes high heels after Chilima accused Malawi Revenue Authority (MRA) and Malawi Communications Regulatory Authority (MACRA) for sponsoring the ruling party Democratic Progressive Party (DPP) campaign. The UTM leader who is also the state vice president made the remarks recently during his whistle stop tours in Blantyre.He said the two institutions are bankrolling the ruling party. In a press statement signed by Minister of information Henry Mussa points out that Chilima’s ploy of sponsoring people at MRA and MACRA to manufacture allegations against their institutions and their leaders is primitive and will fail. The statement also claims that the threats by Chilima are instigated by personal grudges that he jealously cherishes against some individuals at MRA and MACRA which date back to the time he was in private sector and which also registered during the time he chaired the Malawi public service reforms commission. The issue of abusing government resources is common amongst ruling parties in Malawi, a thing that shows seriousness between office bearers. Recently, Malawi has also witnessed the vanish of MK7 billion that was supposed to be used to purchase maize in 2016 as the Anti-Corruption Bureau-ACB found the money in the house of ex-Agriculture Minister, George Chaponda.